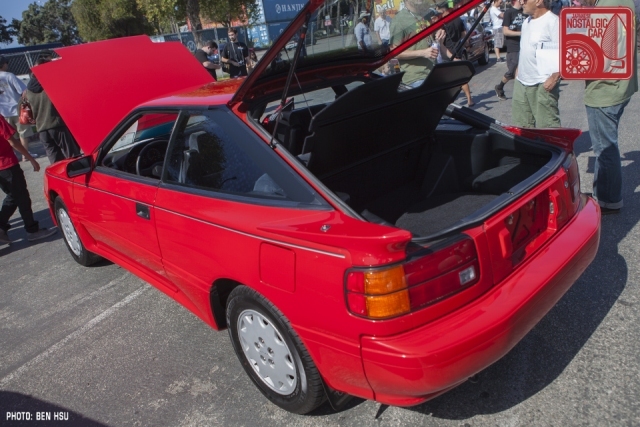 One of the most mind-blowing cars at this year’s Japanese Classic Car Show was Joseph DeMeo’s 1988 Toyota Celica All-Trac. With just 15,200 miles on the odometer, the rally-inspired AWD coupe was basically showroom and the finest example we had ever seen, but Joseph still wasn’t satisfied with it just yet. According to the window sticker, which Joseph still has, the car sold for $22,863 out the door back when it was new. That’s roughly $48,500 in 2017 dollars, but may Ameratsu bless the soul who shelled out the coin for this unique car back in the day. Whomever it was got a lot more than an average Celica for their money, though. 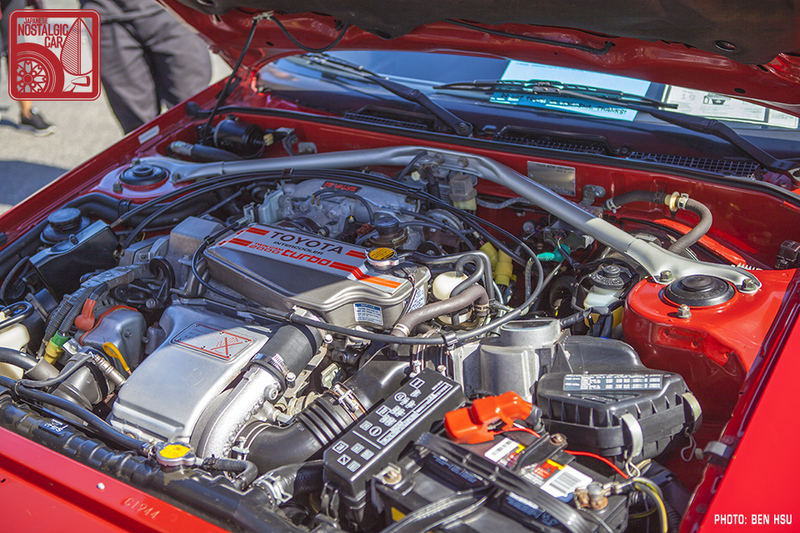 The All-Trac came with a 190-horsepower turbocharged engine and all-wheel-drive powertrain (the naturally aspirated version of which appeared in the Camry All-Trac) via a viscous coupling central locking differential, turning an affordable sports coupe into a high-tech rally monster. You’ll never guess what minute flaw he saw from this angle. If you look closely, the fabric on the cargo cover has a tiny spot of wear on the left corner, exposing the brown board underneath. In the photo above, it’s probably the size of a pixel or two. What made Joseph so meticulous about his Celica? Well, he’s a car collector and has had Lamborghinis shown at concours events. All these things are something judges would deduct points for, and he can’t have that. “I want to get this car to concours level,” he explained. 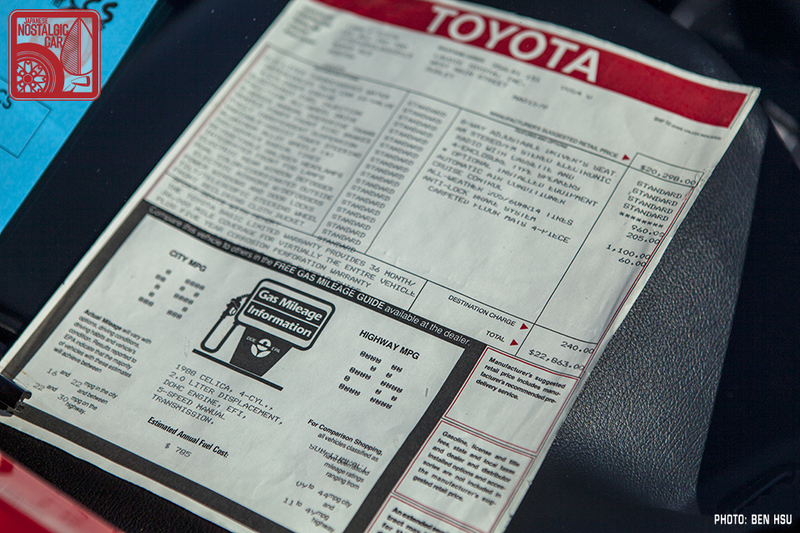 That’s a good thing, because Toyota doesn’t even have an All-Trac this clean in their own museum. Fittingly, Joseph took home the Best Neoclassic Award. tagged: all-trac, celica, japanese classic car show, JCCS 2017, st165, toyota. Toyota missed the nail on design with this one Lol. Probably the biggest car regret I have is selling that one off. great picture of your car in it’s element. i’m glad you like my car..even if it will never see a dirt road. other than in a photo shoot !!! This is probably my favorite Celica generation, even edging out the ST205 GT-Four. 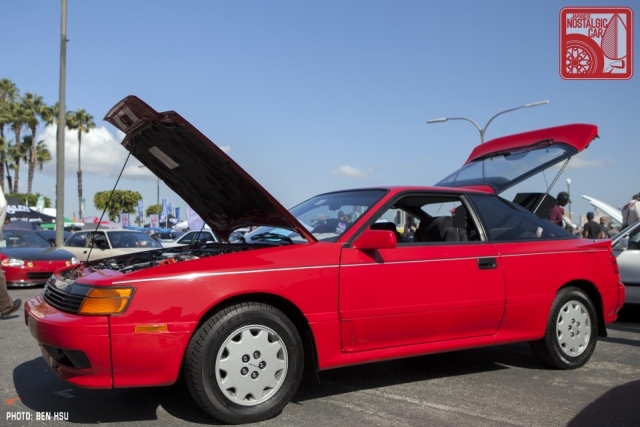 However I will freely admit to being biased as my first car was an ’86 Celica GT-S. That one lasted a little over a year under my care until my lack of mechanical knowledge resulted in a blown engine. Six months later I had somehow scraped enough together to get an ST165. I learned how to work on cars with one of these, and it was a sad day when I sold it. Eight years later I purchased another one. I have spent considerable amounts of time and money in getting this one up to par, and while I’m driving it probably more than I should I’m constantly reminded of how much this chassis just fits me. Just find me another 1971 TE/KE27 LEVIN…..thev27 coupe has thevsmall quarter panel sail skirts.. Not the weird big offset squares.. My pop bought the only one in the U.S. in June 71.IT IS RHD. and had air conditioning added at the Toyota House where he bought it and paid$2199 for it over the $1599 for the 27 with tge 1600cc 4 speed and notvthe 2.0 PEANUT head ..I still have it..he bought it.He paid 2199.
i happen to like this body style best of all celicas. it’s success in rally and is racing made it a favorite. Oh, Joseph, Joseph, Joseph…..Ye of OCD. Sweet, yet oddball. Just like the owner.